Indians traditionally have been passionate about gold; it comes as no surprise that we are the world’s largest gold consumers. Gold is more than an investment for individuals; it symbolises cultural significance. Indians always had compelling reasons to purchase the yellow metal, be it for social functions or marriage in the family, thus making it an integral part of our lives. A consumer research study suggests that despite the convenience of investing in gold through mutual funds, most people still prefer to invest in physical gold. However, the issues of safe storage and theft, among others, remain major concerns for an investor. The international gold prices are hovering above $1,200 an ounce, which shows that gold is trading around the value territory, considering global political and economic scenarios. The international geopolitical situation looks intimidating, particularly the escalating tensions between the US and North Korea, while the instability in certain regions around the Middle East and Africa is also not reassuring. The US dollar has been weakening against a basket of major currencies since the beginning of 2017; investors have raised doubts over the current administration’s ability to push through major economic reforms. The demand for gold from China and India continues to see an upward trend, which means gold prices could continue to go up. The gold ETF (Exchange Traded Fund) data shows that investors have garnered 9.6 per cent annualised return over the last 10 years, according to Value Research, a website that rates mutual funds. Though the returns from gold over the last couple of years have been subdued, the future looks promising as there could be a serious demand-supply imbalance of gold because of a slowdown in mining work on account of increased cost and decreased discovery of new mining locations. Hence, it is a great time for investors to consider gold as a serious avenue for investment over the medium to long-term horizon, because, once the gold price starts moving up, retail investors may find it extremely difficult to enter the market at an attractive price level. Gold mutual funds were introduced to make investing in gold a hassle-free experience for investors. These funds invest in units of gold ETFs where the underlying asset is gold. The value of gold ETFs depends on the price of physical gold in the market. Investing through gold funds eliminates the concerns of safe storage and possibility of any theft. One can also sell these units at market-linked prices any time, and liquidate its holdings. One of the ways in which investors can invest in gold mutual funds is by opting for gold accumulation facility, which would allow investors to invest on the basis of the quantity of gold through a systematic investment plan (SIP) or the systematic transfer plan (STP) route. Under this facility, the amount of investment will be calculated for each SIP/STP instalment into the gold fund, based on the net asset value of the Gold ETF scheme and the number of units as specified by the investor. The amount will be debited from investors’ bank account (for SIP) or will be transferred from source scheme (for STP), and will be invested into the gold fund. Hence, the amount debited will be dynamic every month/ quarter. The gold accumulation facility thus allows individuals to invest in gold for their future aspirations. The scheme is a great advantage for individuals who find it difficult to save a large amount for buying gold for a future commitment. This facility thus enables a disciplined accumulation practice under which one can accumulate gold in grams by making small, but regular investments through gold mutual funds. A savvy investor always combines gold with stocks and bonds to reduce overall portfolio volatility and market risks. For example, during the global financial crisis of 2008 and the Eurozone crisis of 2012, there was substantial drop in the value of stock prices, and investors migrated to gold, looking for a safe haven. 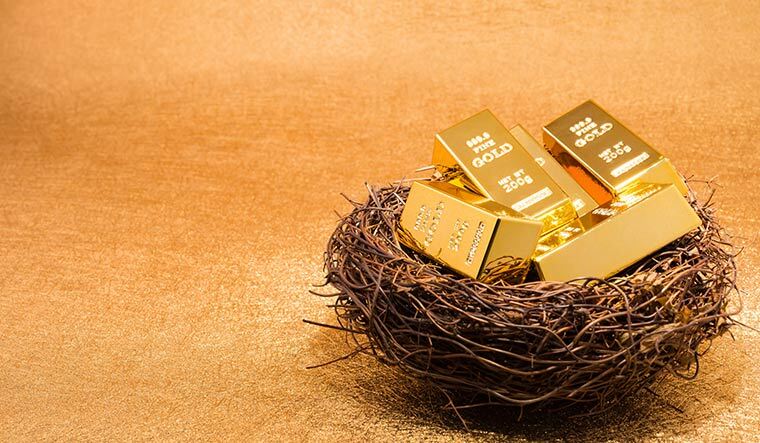 Hence, gold is recommended as part of an investor’s portfolio diversification strategy, possibly as a hedge against economic and political shocks. The author is executive director and chief marketing officer, SBI Mutual Fund.